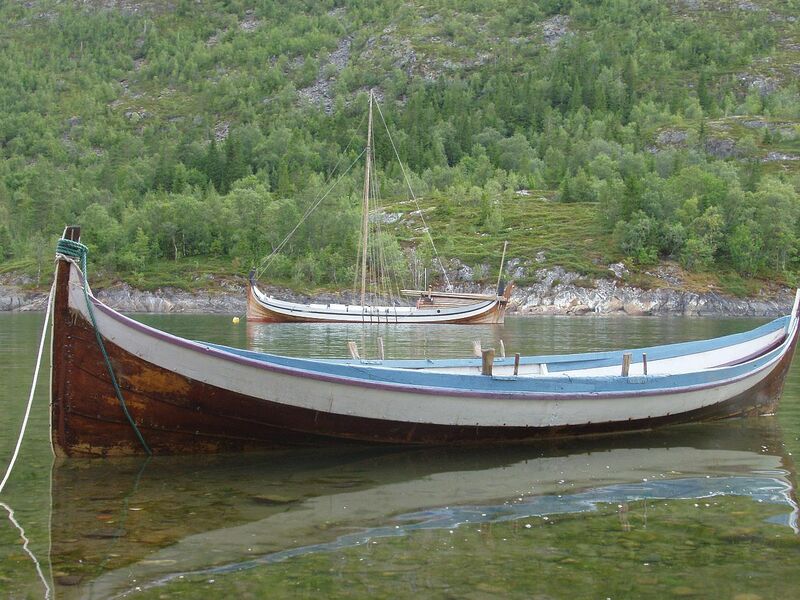 The Viking longships were doubtlessly the most fastest and durable ships of the early Middle Ages. Thanks to the ingenious skills of the Norsemen in regards to ship construction and crafting, the Norse longships were able to sail on turbulent and calm waters alike, traveling very long distances along the Baltic Sea, the Mediterranean Sea, the North Sea, the North Atlantic Ocean as well as on many other bodies of water. These longships could drift on both high and shallow waters and could have the needed space for embarkment of various goods (i.e. silver, gold, wood, food stockpiles, etc.) in order to establish a colony in a newly discovered land. But there’s more to the longboats than being a mere means of transportation, since they were also used in burial rituals as well. The Norsemen would inhume their dead on a burning ship, with or without several goods or slaves on it (depending on the social status of the dead). During the Viking Age, with these ships, the Norsemen crossed the North Sea and then subsequently the North Atlantic Ocean in order to establish settlements in the Faroe Islands, Iceland, Greenland, and even in modern day Canada, namely in Newfoundland around a thousand years ago. The Vikings set foot on American soil and spotted the North American continent long before Columbus did. The longships had the edges of their hull planks overlapped, meaning that they were clinker built. They had shields attached next to the place of the oars and they could also feature a dragon head. They were narrow, light and had usually up to 16 oars on both sides of a vessel. Below is a 3D animation of a recreated Viking ship, a video presentation created for the Smithsonian Institution’s National Museum of Natural History for the ‘Vikings: The North Atlantic Saga’ exhibit on the occasion of the millennial anniversary of the Viking landings in the New World at L’Anse aux Meadows in Newfoundland, Canada. The information about the Viking ships stems from the Icelandic sagas as well as from various archaeological findings from Norway, Sweden and Denmark. 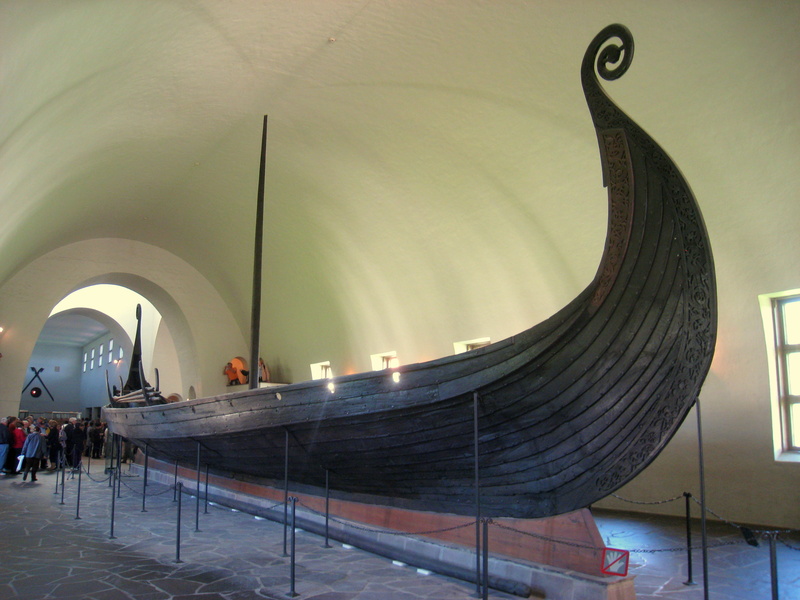 To date, the best preserved Viking ships are exhibited in two museums from Scandinavia: the first one in Oslo, Norway (housing the three best preserved Viking Age ships, namely the Oseberg, Gokstad and Tune ships) and the other one in Roskilde, Denmark (housing the Skuldelev ships). There are also other noteworthy Viking Age museums in Scandinavia such as the one in Ladby, Denmark as well as the Birka Museum in Stockholm, Sweden, and last but not leas thet Lofotr Museum in Borg, Norway.